Yes, we’ve got another one of those .io games, and it’s from the company that gave us Agar.io not too long ago. 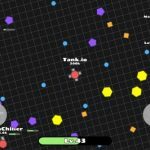 Diep.io is a new Android and iOS game by Miniclip that puts you in control of a tank, as you compete against other real-life players in a virtual battlefield. The game allows you to upgrade your tank, shoot down your opponents (of course), and likewise shoot down blocks as you earn more XP and get chances to upgrade that tank and unlock new classes, weapons, and abilities. And as far as weapon types go, these include a machine gun, guided missiles, or other types of guns that perform differently than the others. This is more massively multiplayer fun, and if you’re the kind of mobile gamer who values interaction with other human gamers as a key selling point, Diep.io is worth more than a second look. To sum up the above description in a nutshell, this game is, in its own way, a MOBA title. You won’t be playing in a detailed fantasy world but in a grid where your tanks are represented mainly by shapes and colors. But the multiplayer action is definitely in there. And if you’re looking for ways to up your multiplayer game and defeat more opponents, we would certainly recommend checking out our complete Diep.io strategy guide. We’ll be tackling all the tips here, so hang on and read on if you need that all-important advantage over your opponents. The first thing you should keep in mind when you’re just starting out is your choice of tank. Of course, you want to avoid setting up your tank with stats that won’t do you much good based on your play style. Make sure that it’s got some clear strengths, and while that also may result in a key weakness or two, it is, in this game, better for your tank to be that way rather than it be a jack-of-all-trades type. Reload is the most advisable stat to fill up in most cases, as it has some valuable benefits, namely higher fire and movement rates. We’ll be dealing more with the Reload stat in a bit, but first, let’s get a few more tips out of the way. Our next tip in this game is probably the most fundamental, and that tip is for you to keep your tank in motion for as much as you could. If you choose to play it super-conservatively and just wait around for a good opportunity, you’ll be fair game for your human opponents. Being in motion allows you the most wiggle room when it comes to both the offensive and defensive side of these tank battles, so if you’ve got some space to move around in, then do so. Also, make sure you’ve got your finger on the trigger button, as you’ll want to keep on shooting for as long as possible while in motion. In relation to that last “bonus tip,” you can always go to the settings menu to calibrate your shooting stick and change the settings. It is possible to set it up so that it keeps on firing by default, thus giving you more leverage against your opponents. This is a classical beginner tip for anyone who may be feeling overconfident just because they got off to a great start. It’s important that you refrain from taking on anything (or anyone) that you couldn’t realistically defeat at a given point. This is important in the early goings. If you’ve been spotted by one of the larger tanks, the best thing to do is to get evasive as soon as possible and get out of Dodge, as the saying goes. If you don’t move out quickly once spotted by a big tank, it’ll likely be game over for you soon after. Chances are you’re going to get crushed if you get overconfident and try the other game modes. But building off the tip right above this one, it may be a more prudent move for you to avoid other players until you’ve hit level 30 or better. Play it safe and conservatively, not doing anything drastic until you’ve gone through a couple class changes. 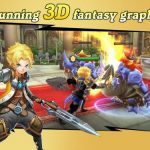 In general, you want to get your HP figures up to the best of your capability. 5. 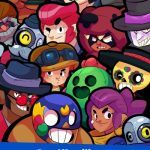 What Should You Be Upgrading First? When it comes to the sundry stuff you can upgrade in this game, your attack power should go first. Now a lot of games are putting more of a premium on defensive play than they are on offensive play, but in the world of Diep.io, you want that attack power upgraded ASAP. By doing that, you’ll be able to unleash a swath of destruction, especially on the inanimate objects/obstacles. This allows you to get more experience points faster, and if you’re wondering if there’s anything else you have to upgrade immediately, there isn’t any in the early parts. Some believe that health should also be among the first stats to upgrade, and it is a good idea to make it your second priority after attack. And while we still stand by having a stat or two higher than the others, try your best to have everything at similar levels over time. In general, though, Reload will prove to be the most important stat of them all. It’s not uncommon to see players prioritize this, and here’s why we agree that with the exception of the Necromancer class, Reload is the stat that benefits all other classes the most. As we mentioned earlier, it improves your movement and the speed of your shots. Weapon recoil has an impact on your speed; most of the tank classes will slow down when firing forward, but speed up when firing backward. Either way, Reload does wonders for the speed of all classes except Necromancer, and that’s a big reason why it’s a very valuable stat. There are some exceptions to the rule, though. Necromancers operate by destroying squares to get support from their minions, so Reload wouldn’t do that class any good at all. For Overlords and Overseers, it’s a mixed bag, as the stat won’t help you shoot faster or move faster. But you’ll still be able to enjoy faster-respawning minions. Ever wonder what all those stats in the game mean for you and your tank? Reload, as talked about in a couple of the earlier tips, refers to how quickly you can fire your gun at your opponents, and how quickly your tank moves as affected by its recoil. If you’re a Necromancer, though, Reload is useless. Movement Speed is self-explanatory, as it allows you to move faster and avoid enemy tank attacks quicker. Health Regen helps you regenerate your health faster, while Maximum Health increases your max health; again, very self-explanatory. You can also alter your bullet’s stats through Bullet Damage, Bullet Speed, and Bullet Penetration. Yet again, the first two stats need little explanation, though Bullet Speed isn’t as important if you’ve got an Overseer/Overlord or Necromancer tank. Bullet Penetration, however, is quite the underrated stat as it doesn’t get much priority from players, but can be very helpful, as it allows your bullets to penetrate more obstacles in one go, and even penetrate your opponents’ bullets. Do not overlook this stat, as it may be a silent game-changer for you. Body Damage works by upping the amount of damage to inanimate objects and other players. Now there’s a reason why we’re mentioning it last, and that’s because things can get quite delicate when you’re manipulating that stat. It will all depend on your class choice, and on how many points you had spent on Health Regen, Max Health, and Movement Speed. Once you reach level 10 in the game, you will get your first chance to change the type of gun you are using. Again, you’ll be given this opportunity once you reach level 25. The first update of gun type will allow you to choose one of four different options, including a bigger, yet slower gun, a faster gun, and two multi-shots in different directions each. As for the second update, it will be related to the one you chose for the first upgrade. Again, it all boils down to how you prefer to play the game – use a big or fast shot if your style revolves around offense, use a multi-shot if you’re a defensive player. Feel free to experiment with different guns, and go with the one you perform the best with. 9. What Are The Best Shapes To Target For XP? We shall now be talking about the different shapes in the game, starting with those shapes that can be a lucrative source of XP. By this, we mean the blue hexagons, which give you the most experience aside from the XP you can earn if you kill a higher-ranked player. The catch to targeting these shapes, however, is that groups of blue hexagons are surrounded and protected by pink triangles. These triangles can be very tricky to overcome, especially since you also have to be mindful of the other human players on the board. So with that in mind, you’ll want to look for another place to farm for XP if you’re in a situation where there are a lot of other players. If it’s any consolation, there should be more than enough random blue hexagons available for you to grab. As for the other shapes, those with more sides are worth more XP, so you should be going after those as quickly as possible so you can effectively farm for experience. This may sound like such a basic tip that it shouldn’t even be considered as one, but you might be wondering what the number underneath a player’s name means. That number, of course, refers to their score, and you should keep a close eye out for those scores, so you know what you have to do in order to progress faster through the leaderboard. When dealing with the other human-controlled opponents on the board, there are a few things you can do so you can ensure yourself of the best results. First would be to circle the other tanks while firing at them. It doesn’t matter if you can’t see them; if you see a trail of bullets, that means there are nearby tanks which you can damage through your own attacks. Next, you can try making your way past the barriers located at the edge. And while you won’t make it too far by doing so, you will at least get a little more wiggle room so you can launch a better, clearer attack, or escape if you have to. Last, but not the least as far as the battles go, it’s a good idea if you start a brand new game after your tank has been shot down and destroyed. That will give you some bonus points, and help you as you further make your way up the leaderboards. If you notice your health is declining and your damage ramping up, you can use hit-and-run tactics, firing at a tank or two, but running as far as you could to safety so you can heal up gradually, yet progressively. Once you’ve gotten your health points back, you can return to battle and go after the other tanks in earnest. For best results, your tank will need to have good speed stats so you can move as far away as possible without eating more damage from your opponents. 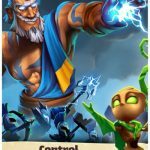 This completes our detailed guide for Miniclip’s mobile game, Diep.io. In case you know other tips, tricks or strategies for the game, feel free to share them with us below in the comment section!